Los Angeles, CA -- The re-nomination for a second term of the Los Angeles Department of Water and Power’s ratepayer advocate, Fred Pickel, by a city-appointed committee is a betrayal of all of the municipal utility’s ratepayers, Consumer Watchdog said today. The Mayor and City Council should reject the recommendation or abolish the Office of Public Accountability that Pickel heads, the group said. “Choosing to nominate Fred Pickel to another 5-year contract at nearly $300,000 a year without even talking to some of the most qualified applicants for the job betrays all DWP ratepayers,” said consumer advocate Liza Tucker. 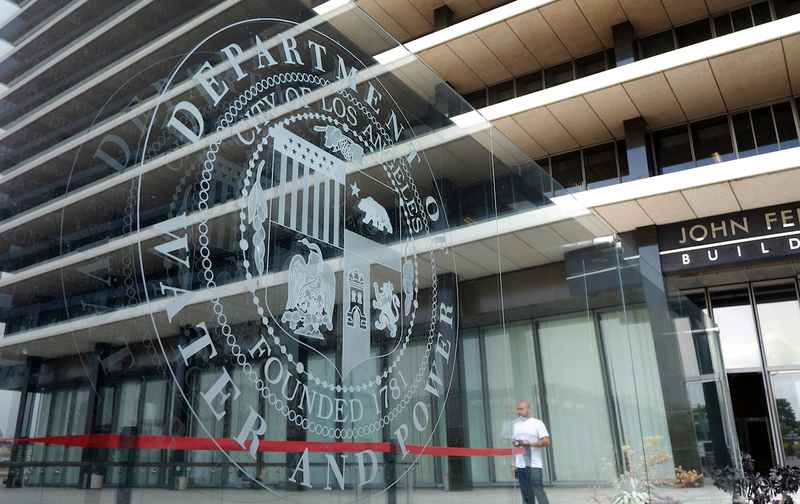 “It had nothing to do with picking a true ratepayer advocate to protect the interests of ratepayers and everything to do with Mayor Eric Garcetti and City Council President Herb Wesson wanting a rubber-stamper of DWP decisions. Tucker said among the 31 applicants for the position was former chair of the California State Assembly’s Utility Committee Mike Gatto who put forth reforms of the Public Utilities Commission seen as too close to the major investor-owned utilities that it regulates. Gatto did not even receive a phone call from the committee, let alone an interview. According to Consumer Watchdog’s report, The Price of Pickel, the current ratepayer advocate has cost ratepayers about $7 billion since he was appointed to the newly created position in 2012 by either remaining silent on issues of critical importance to ratepayers or rubber-stamping decisions that raised rates without the necessity. For example, Pickel has never raised his voice against a fee on power rates that raises hundreds of millions of dollars each year to cover city services. That fee is an illegal tax because the money is not used to improve utility services. It has never been voted on by the public, as California law requires. The members of the Citizens Committee to appoint a new ratepayer advocate were appointed by a combination of the Mayor, Wesson, and Council Member Nury Martinez who heads the Council’s Energy, Climate Change, and Environmental Justice Committee. Three of the five appointees, Tony Wilkinson, Chuck Ray, and Mac Shorty, sit on neighborhood councils. “Their positions are unpaid, but each neighborhood council gets $42,000 a year from the city for projects of their choosing,” said Tucker.